CHRISTIANSTED – A St. Croix man wielding a golf club at an historic fort who tried to avoid detention by a park ranger by jumping into the Caribbean Sea was given three months in prison by a federal magistrate today. Uriah “Kunta” Gaston, 36, of Estate Strawberry, was sentenced in U.S. District Court on one count of resisting a federal officer, U.S. Attorney Gretchen C.F. Shappert said. U.S. Magistrate Judge George Cannon, Jr. sentenced Gaston to 90 days of jail time with credit for time served and ordered Gaston to complete a mental and drug treatment program at The Village – Sion Hill Therapeutic Community Program. Gaston had previously pled guilty to the charge on June 29, 2018. 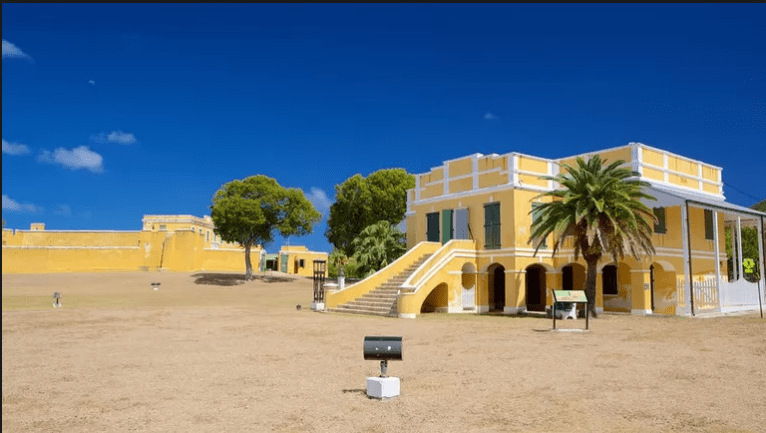 According to court documents, on January 2, 2018, Gaston created a disturbance at Fort Christiansvaern, at the Christiansted National Historic Site in St. Croix. When Park Ranger Gabriel Laurencin intervened and attempted to identify Gaston, he produced false identification. After being informed that he was going to be frisked for officer safety, Gaston then fled into the Gallows Bay Harbor, ignoring several commands to stop. He again ignored multiple commands to return to shore. Gaston was subsequently returned to shore on the side of a bystander’s dingy and was placed under arrest at that time. The case was investigated by the United States National Park Service. The case was prosecuted by Assistant U.S. Attorney Daniel Huston.